Mona Turnbull will head up our body artists as they create their full body paints incorporating a prosthetic in the vibrant Body Art Zone. Her view of life is through the prism of her artist’s eye and she has always been drawn to the world of colour. She runs a face & body painting business as well as a beauty studio offering extreme creative make up, whilst also teaching her own workshops and tutoring at Iver Academy, Pinewood Studios. 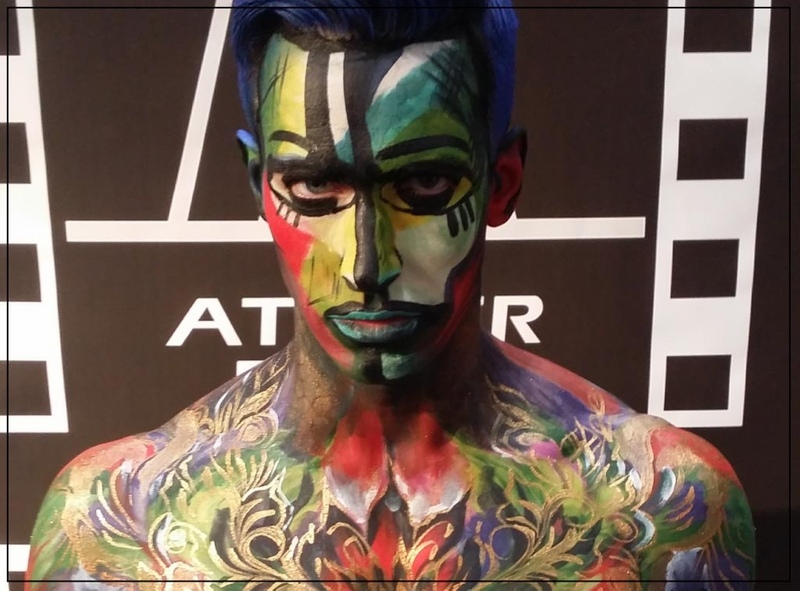 Mona’s enthusiasm and sparkling personality make her a sought after artist and a regular demonstrator at events such as IMATS London for companies like Kryolan UK, Makeup Atelier Paris and Mehron. This year her body art has appeared in an episode of the internationally acclaimed TV series ‘Outlander’ and you may also have seen it without realising…on billboards on the M5 in Birmingham and the M4 in London!